The AMC, in conjunction with the PPLS Subject Area of Linguistics and English Language, offers a range of prizes and scholarships to current and prospective students of linguistics and/or English language, naturally with an emphasis on the area of Angus McIntosh’s greatest achievements — historical linguistics. 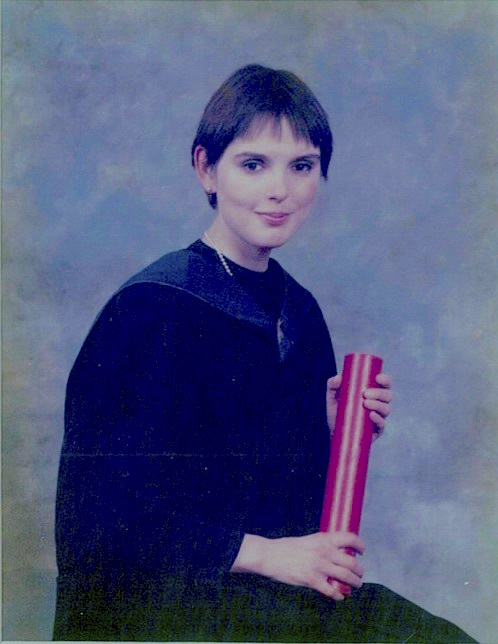 The Ailie Donald Prize is awarded annually to the best Honours student entering the third year of Single Honours in Linguistics and/or English Language. The prize is worth £1,000. The Derek Britton Scholarship is awarded annually to undergraduate students entering the second year of Single Honours in Linguistics and/or English Language. The Scholarship is worth £3,000 and is awarded in three annual instalments of £1,000. 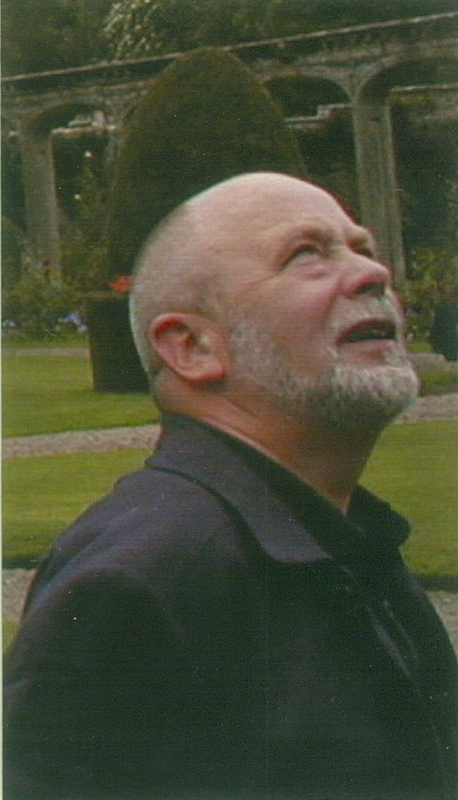 Derek Britton was a Senior Lecturer in English Language at Edinburgh University from 1979 until he retired in 2004. He died in 2011. An internationally renowned scholar and a brilliant teacher of the history of English, Derek was for many years the Director of Edinburgh’s Institute for Historical Dialectology (the predecessor organisation of the Angus McIntosh Centre). The Angus McIntosh Prize is awarded annually for the best first-class Honours dissertation in Linguistics and/or English Language. The prize is worth £100. 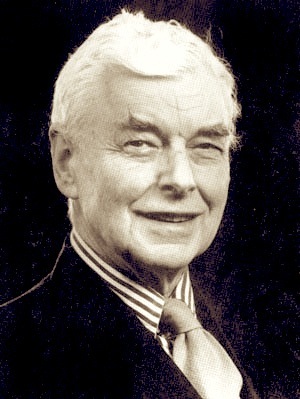 Angus McIntosh (1914-2005) was the first Forbes Professor of English Language and General Linguistics at Edinburgh University. Appointed to the Chair in 1948 after war-time work at Bletchley Park, he spent the remaining 31 years of his academic career in that post. He founded both Linguistics and English Language at Edinburgh and for many years led what was probably the strongest department of English Language found anywhere in the world. See also here. The Patterson Prize is awarded annually for the best course mark or Honours dissertation on Old English. The prize is worth £100. More information is available [TBA]. The Ailie Donald MSc Scholarship supports the study of historical and English linguistics at the MSc level. It is awarded to (maximally) one student per annum and covers the cost of home fees (or their equivalent towards offsetting international student fees). No maintenance funds are included. · be Edinburgh graduates (strongly preferred). 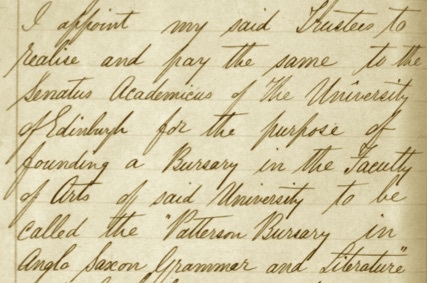 The McIntosh-Patterson PhD Studentship is awarded periodically to support the study of historical and/or English linguistics at PhD level. The Studentship covers fees as well as providing a stipend. Our current McIntosh-Patterson Scholar is Jade Sandstedt. More information is available available here. A list of past and present beneficiaries of these scholarships is available here.